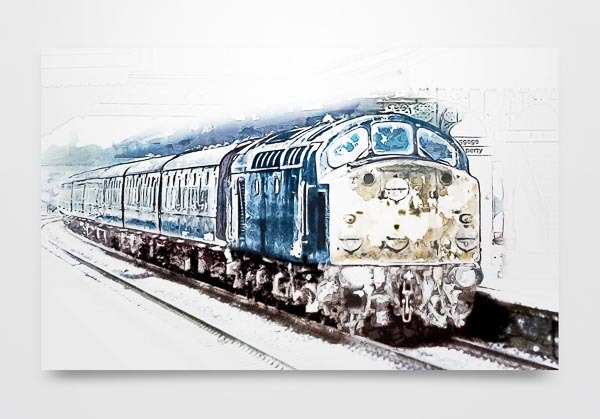 Here it is at last, the eagerly anticipated new Class 40 in the Snow digital art print! The scene is set in the winter of 1981 and features a Class 40 hauled passenger train speeding through a railway station. 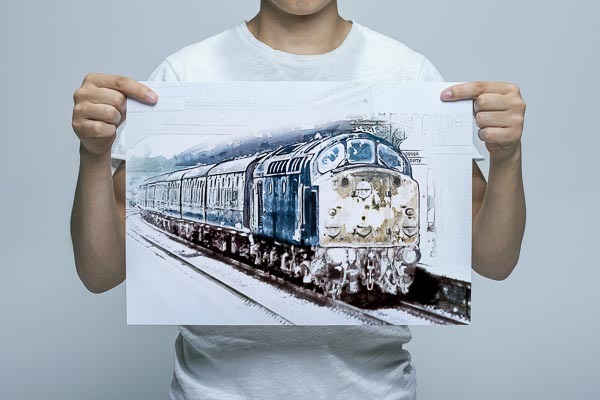 The Class 40 is in BR Blue colour scheme with a rake of mark 1 coaches in the British Rail blue and grey colour scheme. 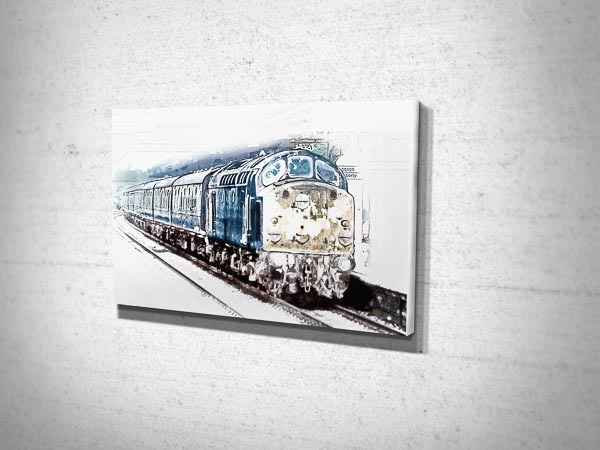 The Class 40 depicted features the marker light and disc front end arrangement typical of the first batch of locos from D200 to D324. This picture will be unveiled to the public at the East Lancs Railway Diesel Gala today (18th February 2017). Mailing list subscribers have already seen this print and been able to buy at discounted prices for a week, which is usual practice for most new pictures I release. If you want a heads up on all new pictures and the chance to buy early at discounted prices, then sign up to my mailing list! So there we have it, the new Class 40 digital art picture finally unveiled. We are on the bridge at Bury throughout the East Lancs Railway Diesel Gala, so come say hi and see the picture up close! Thanks for reading and hopefully we will see you soon! If you liked this Class 40 article then why not share it with someone you know who will also find it interesting …. thanks! 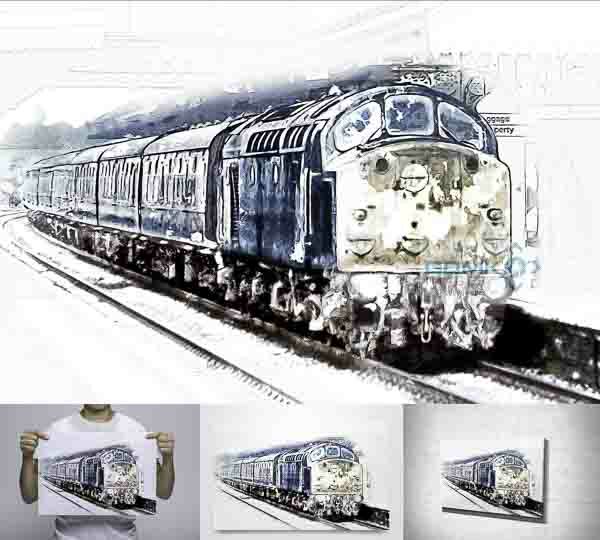 Share the post "New Class 40 Digital Art Print Released"